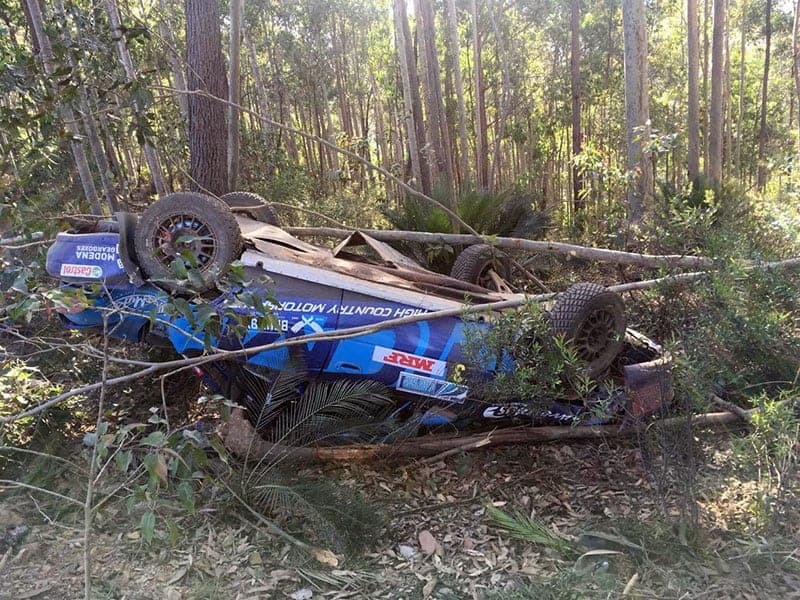 Former ARC regular, Chris Higgs, has returned to rallying in triumphant style, finishing third outright in the Narooma Rally, 12 months after an accident that could have ended his life, and that of co-driver, Daymon Nicoli. Higgs and Nicoli drove their recently purchased ex-Stewart Reid, ex-Chris Giddons Mitsubishi Lancer Evo 6 and were over-joyed at the result. “After 12 months out of the seat and hearing calls from Daymon, we came down to Narooma where last year it very easily could of put us both out of rallying,” Higgs said. “Today was all about finishing and getting seat time. In saying that, I’m speechless of today’s outcome. 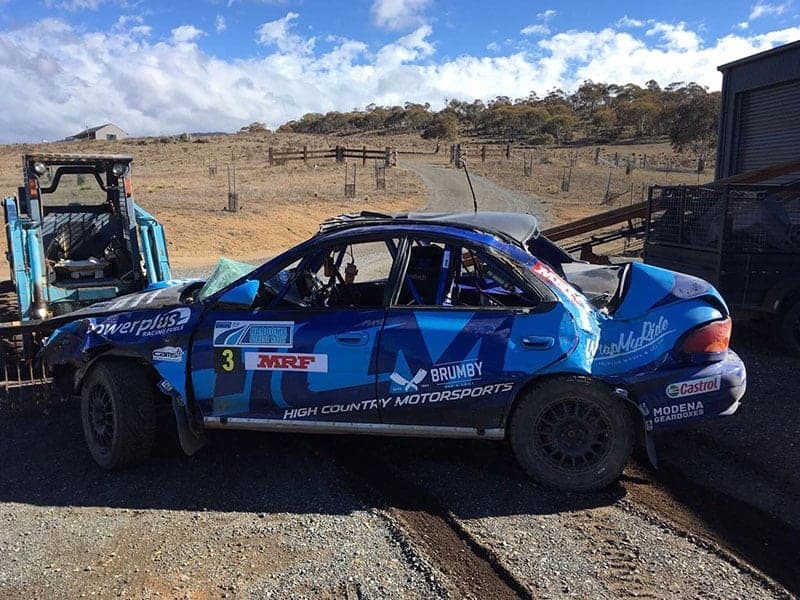 Chris Higgs and Daymon Nicoli made their return to rallying 12 months after a serious accident destroyed their Subaru. “After losing boost 2km into a 27km stage when a turbo to manifold gasket let go, and then having a big spin in stage four, it looks like we have finished on the podium in third outright for the day. 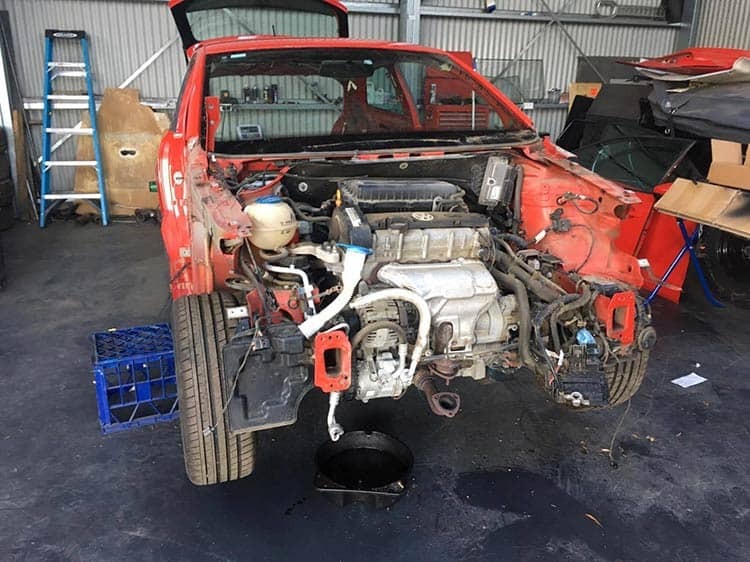 Higgs and his High Country Motorsport team had been working hard on a new AP4 Volkswagen, but that lengthy project has currently come to a standstill. “Unfortunately, due to work commitments we have not had the time to focus on the AP4 build, so the decision was made that when the right stand in car came up for sale we jumped at the opportunity,” Higgs told RallySport Mag. Chris Higgs will run his VW Polo AP4 in next year’s ARC. As for the AP4 VW, it’s now on track for a debut early next year. “All the engeerning is pretty well finished, the shell is pretty well prepared ready for paint, and hopefully we’ll have our first test drive late this year,” Higgs added. 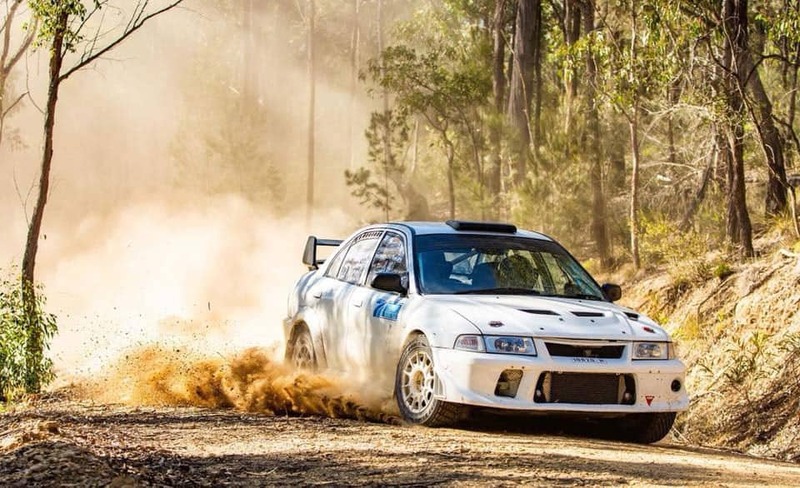 Plans are to contest the 2019 Australian Rally Championship. If you’re enjoying this article, why not subscribe and help us provide even more great content. Peter has been the editor of RallySport Magazine since its inception in 1989, in both printed and online form. He is a long-time competitor, event organiser and official, as well as working in the media.